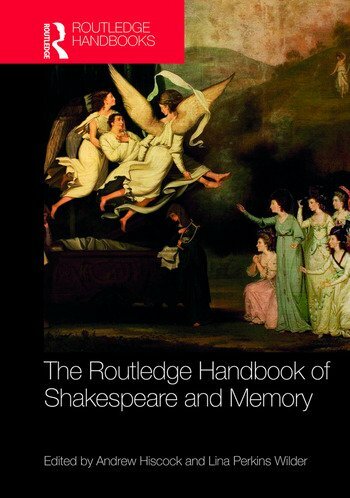 The Routledge Handbook of Shakespeare and Memory introduces this vibrant field of study to students and scholars, whilst defining and extending critical debates in the area. The book begins with a series of "Critical Introductions" offering an overview of memory in particular areas of Shakespeare such as theatre, print culture, visual arts, post-colonial adaptation and new media. These essays both introduce the topic but also explore specific areas such as the way in which Shakespeare’s representation in the visual arts created a national and then a global poet. The entries then develop into more specific studies of the genre of Shakespeare, with sections on Tragedy, History, Comedy and Poetry, which include insightful readings of specific key plays. The book ends with a state of the art review of the area, charting major contributions to the debate, and illuminating areas for further study. The international range of contributors explore the nature of memory in religious, political, emotional and economic terms which are not only relevant to Shakespearean times, but to the way we think and read now. Andrew Hiscock is Professor of English at the University of Bangor, UK. Lina Wilder is Associate Professor of English at Connecticut College, USA.